Pujya Swamiji graced the beautiful and unique ‪#‎VaicharikMahakumbh‬ on the 12th May during the Simhastha Kumbha Mela, addressing and inspiring the gathering on the theme of ‘Swachhta aur Sarita’ with a panel of distinguished speakers including the Hon’ble Chief Minister of Madhya Pradesh, Shri Shivraj Chouhanji, Hon’ble Member of Parliament Shri Anil Madhav Daveji and Padma Bhushan Shri Bindeshwar Pathakji and many others. The large two day event also is known as the International Conference on Living the Right Way: Universal Message of Simhasth, hence Pujya Swamiji spoke about how the right way of living was about living for the welfare and well-being of others. He spoke about the right way of living being about taking less and giving more. He also shared how proud He was with the vision and the mission of our Hon’ble Prime Minister of India, whose life is an example of truly living the right way. He spoke about the great need to make this Mela one that has the universal message of cleaniness and oneness. He shared that in addition to having a mela along the holy banks of the River Kshipra we must also work to protect the river so that it flows freely and unpolluted. He encouraged everyone to take the opportunity to pledge to plant thousands of trees along its banks to rejuvenate and revive the sacred river. The Hon’ble Chief Minister was deeply inspired by Pujya Swamiji’s words and gift of a beautiful tree sapling. 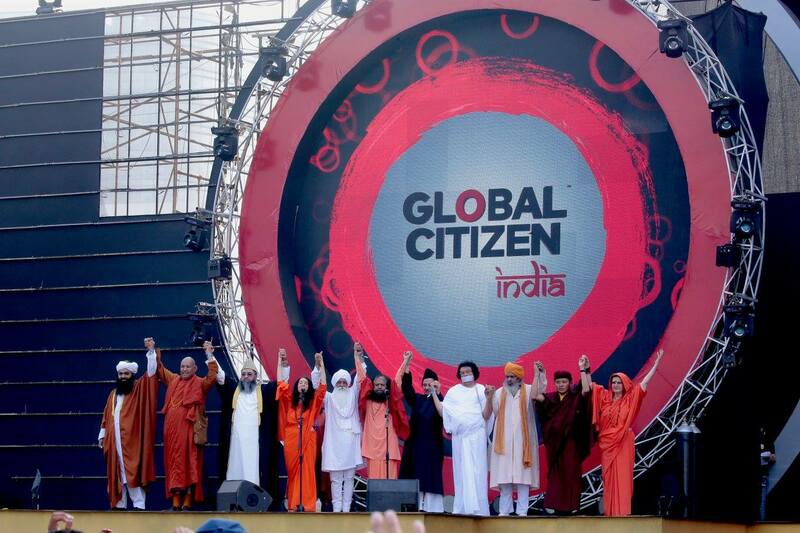 He led a pledge to bring to fruition Pujya Swamiji’s mission and message. He promised that during the monsoon thousands of trees would indeed be planted and efforts to rejuvenate and recover the drying river would be made so that by the next mela the waters of the River Kshipra would once again flow and there would be no need to channel another river’s water to serve the needs of the millions coming to bathe in its holy waters to attain liberation.